Women in Jersey are being encouraged to get on their bikes in a fun new female-only cycling group. The regular rides are part of the HSBC Breeze programme, which has now been launched in the island on the back of success in the UK. 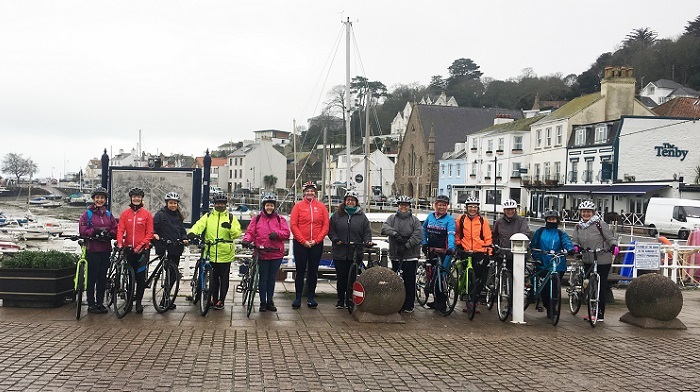 The Jersey rides are currently every Saturday morning starting from the Radisson Blu hotel, but the scheme will be expanded to also include Wednesday evenings from the start of April. “It was brilliant to see a dozen or so women turn up for our first one last weekend,” said Jersey Sport CEO Catriona McAllister, one of 11 recently-trained Breeze Champions in the island. “This is all about giving any woman, whatever their background, the opportunity to feel part of a group, to socialise, to make new friends and to keep fit at the same time. Breeze Champions are able to upload bespoke rides to a central online portal, from which islanders can find out about the routes, dates and timings before signing up for a space. Women’s Cycling Project Manager, Faye Downey, from British Cycling added: “I’d like to extend a warm welcome to our good friends in Jersey to our HSBC Breeze family, and thank everyone who’s been involved with the journey so far to get the network up and running. Breeze Jersey also has a new Facebook page.